Beating the long-running shows on television, Ikyawann has once again stood at the zenith of success charts. 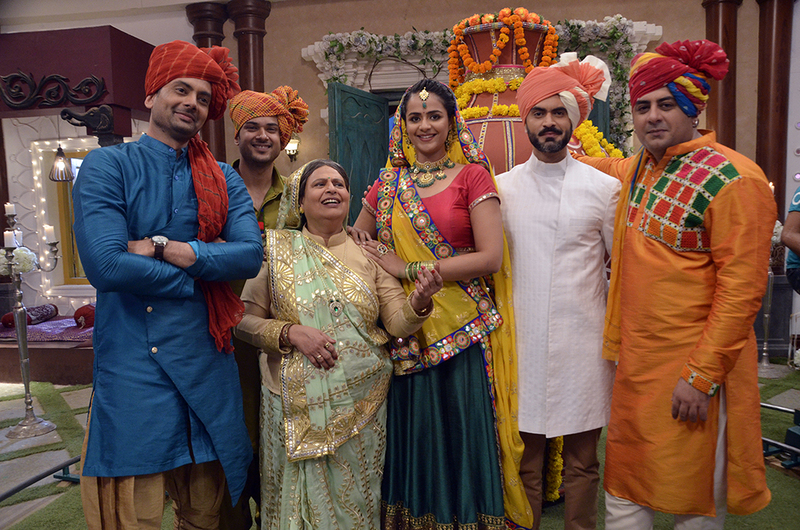 The ongoing show on star plus, showing a bitter-sweet journey of Susheel (Prachi Tehlan), lately completed its 50 episodes. And finally, it’s the time when viewers can enjoy watching ceremonies and functions of Susheel’s wedding. Yes, you got that right! The much-awaited wedding of ‘not-so-girly-girl’ of Indian television is finally on. Prachi exclaimed about the fun they have on sets while shooting for the marriage sequences. “I am quite enjoying shooting on the sets amidst the preparations and ceremonies going all around. Though the schedule is extremely hectic, I am managing to look my best. After all, it’s Susheel’s big day,” she mentioned. But isn’t going to be interesting to see Susheel dolled-up for the first time? “Well, my look has been kept simple keeping in mind the character. Susheel has put on a little makeup for the first time and I am sure people are going to admire that. What’s cuter is how all her fathers are helping her in their own ways. Undoubtedly, she is the apple of everyone’s eye,” Prachi elaborated. The actress recently took to social media to share some insights on the wedding. The beautiful pictures show Susheel, all dressed up, with her husband-to-be. Television stars pays tribute to Netaji – Subhash Chandra Bose! When Karan Patel warned his fans!